I credit those who helped me figure out how to do most of this 4 years ago, but sadly I've forgotten who they are. If you see some of your work, just remember I'm very grateful for it. This mod is still very unfinished. It should work as is with no errors currently (please tell me if you get any) but you'll see that like half the dialog is the same generic stuff. I can't add Diplomacy to this mod because Diplomacy is outdated and hasn't really been made available for adding to other mods in 3 years. 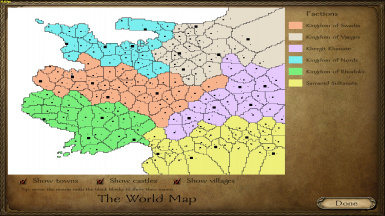 You can add your mod to diplomacy's files, but they're for a 3 year old version of warband that won't work right. 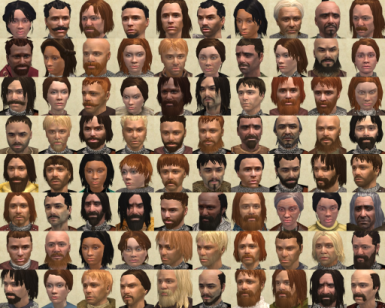 Add 80 NEW companions with full unique dialog trees and personalitys, with a variety of different strengths and uses, such as companions that are ready to go from recruitment to be made into vassals/lords/the marshal of your army, as well as companions that start out at level 1 so you can make them into whatever you want. To give you more options to play the game how YOU want to play it, to better craft your own stories. If you want to be a female player, with only female companions/lords, you have that option now, there's at least 16 new female companions. If you want to only have Saranid units and companions, you have that option, as there are 8 new Saranid-related companions.